Copper plating creates an outstanding barrier layer that can cover substrate metals and alloys. Utilizing copper plating provides an easy-to-plate, level, and in some cases, smooth substrate, making it even more popular than nickel plating for certain metal finishing applications. Although it can be used independently, copper is typically used as an underplate for deposits such as nickel, tin, tin/lead, gold, palladium or silver. Copper plating provides an excellent diffusion barrier preventing components of the base material from migrating into the subsequent plating layers. 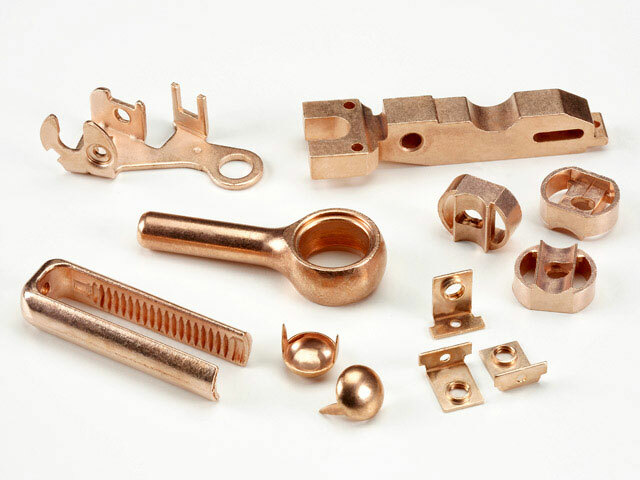 Copper plating generates high electrical conductivity, which has made it an excellent and inexpensive choice for high tech products as well as other application.